Buy ruby rose wedding collection sets from our online shopping portal swayamindia.com and avail free shipping facility on purchase of Rs 500/ or above anywhere in India. You can place an order online while cruising through our wide range of products made available to you. Buy ruby rose wedding collection sets from our online shopping portal swayamindia.com at genuine price. 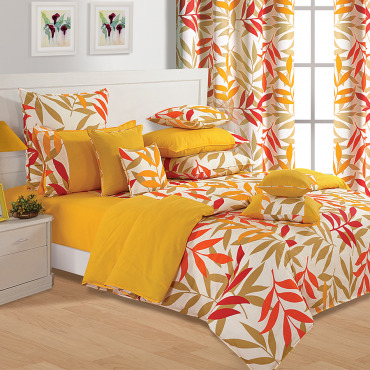 Just to make your post married life perfect, these bedroom sets can be perfected by using our customization service. All you need to do is simply login at our website and fill up a form given at our website mentioning your requirements. To make it a wonderful sleeping experience for you these are made from pure cotton giving them natural sheen and soft texture. Since they are made from cotton they are mite resistant, restricting any kind of skin - irritation protecting your skin. Even their maintenance is quite hassle free as all they need is a simple machine wash. You can dry them in shade as there is no risk of shrinkage even on drying. These bedroom sets are fade resistant and don’t lose color even after several washes. Make a sweet escape as you savor those prized moments away from the worldly chaos with your partner. Buy ruby rose wedding collection sets from our online shopping portal swayamindia.com and grace your home with everlasting love. 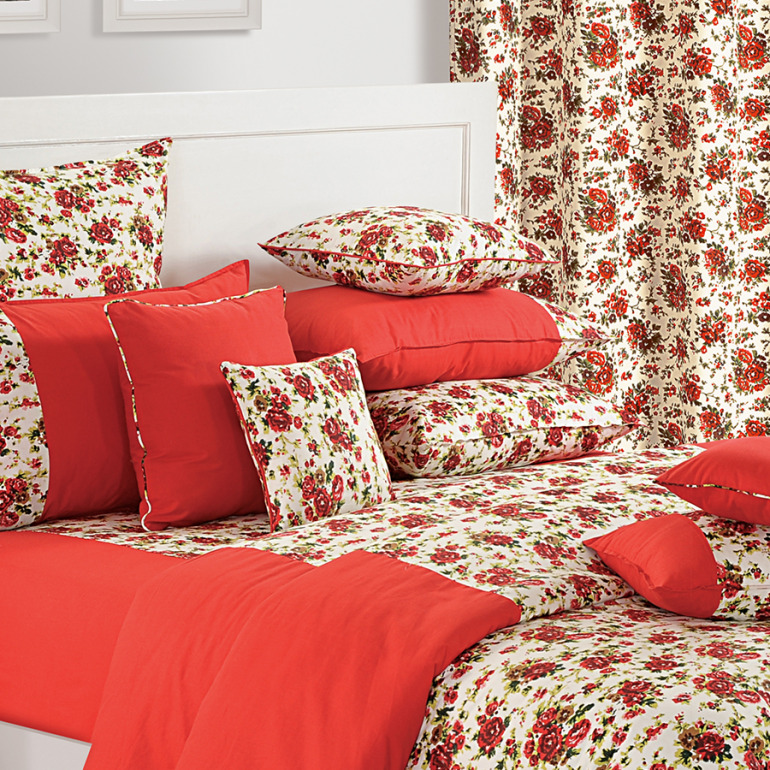 The ruby rose bedroom set assure to set the romance on a high note as the rosy red petal of the print encourages you to confess your love by aligning your room setting in order. Red roses are printed over a white blank canvas which not only highlights them but also brings out their beauty in a unique way. Leaves and tendrils are intertwined and interlaced to mesmerize your senses while you cuddle and snuggle with your partner. Shield yourself in the comfort of fluffy comforters creating a warm environment. 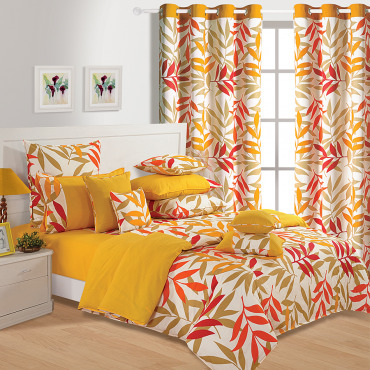 Feel a sense of completeness as your drape matching curtains and bring a wholesome look alive. The color, comfort,softness is still the same since the day I bought it. I would definitely recommend this product to all. Cheers!